This is a really great story about Immortals and their enemy the Vampires of a love that has been ordained and has taken decades to come to fruition. This is about a human called Allesandra who lives in Melbourne with her grandmother Adele, she is a private detective who is tall with long chocolate brown hair and has green eyes and an Immortal man called James, very handsome with dark hair and green eyes who has been silently watching over Allesandra until the time is right to claim her as she is his soul mate. There is danger to overcome by these two and between them let us hope they will overcome. They must. This book is beautifully written, exciting and a love story that runs through with an enchantment all of it’s own. Ms Adams, I really enjoyed this book and cannot wait to find out how the prophecy pans out. 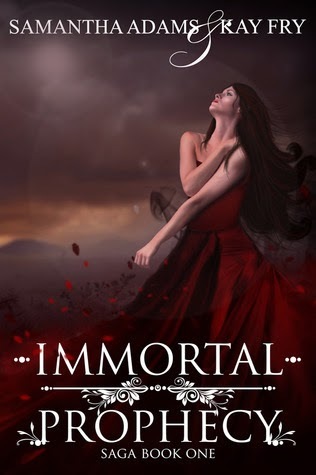 I am looking forward to reading the next instalment Immortal Destiny and to be taken back into their thrilling lives.